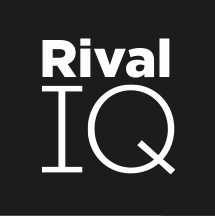 It's easy to add companies to Rival IQ. When you add a company, you might want to customize the social handles connected with a company or suggest that they be removed. Edit social handles for a company on the Companies page. In this example, when you mouse over the Instagram handle for the company called "Fresh Beauty" there is the option to edit the handle if you feel the it is incorrect or needs to be removed. Clicking Edit gives you the option to select another handle or remove that handle from the company. If you need to change the name of the company, use the pencil icon below the company name. The update is recorded and applied immediately, and we will begin to gather the updated social data for the new handle.